Looking for a recipe is a lot of fun for me. I spend a fair amount of time searching blogs, magazines and Pinterest. I get recipes mailed to me by total strangers. These recipes have been handed down from family member to family member. These usually come with just the ingredients and the person emailing would like me to figure out how it goes together and the technique used to get from a list of ingredients to a fabulous recipe. Why the constant search? For me it is the creative process that I use to develop a recipe. I take lots of input on certain ingredients, cooking methods, flavors, techniques and foods and then an idea starts to grow. I always have a notepad with me…ALWAYS! When I am sitting waiting for a friend or my kids I write notes and lists. As my ideals come together and the recipe starts to form I feel a certain amount of excitement and joy. I would relate it to an artist staring at a blank canvas and once the paint hits the brush, then the white slowly transforms into a picture, the story unfolds and a masterpiece is born; or in my case, a recipe. I find a lot of inspiration among my friends in the food world. 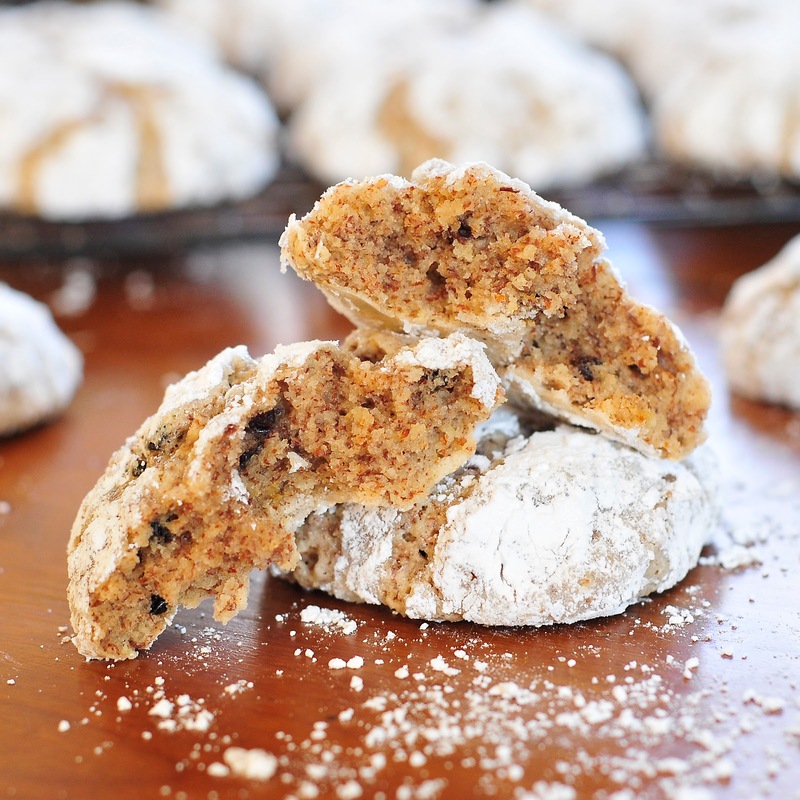 I printed a recipe about a month ago for an Apricot Amaretti Cookie by my friend Irvin from Eat the Love. At the time I printed the recipe I had no idea that he was the author. I was captivated by the photography and the fact that the recipe was naturally gluten free. I did not see any need to adapt his recipe, other than I did not have apricots on hand, so I used dried currants. My method of preparing the ingredients is a bit different from Irvin's and I will share that below but please go visit his site and see how lovely his cookies turned out. The joy that my mouth experienced after the first bite is almost indescribable. The only way I can explain the fusion of this cookie is a soft, chewy inside similar to a macaroon; the pillowy, crispy exterior that is fragile to the touch and yet sturdy to the bite. BLISS is what comes to mind, in fact, that bliss cost me about 15 cookies the first day. If you are a fan of macaroons, almonds and totally addicting cookies, then I suggest you give these a try. Simply wonderful and divinely gourmet is the true essence of this cookie from Italy. Note: I used almond meal and did not need the meal to be any finer than what I had purchased it as. Combine the almond meal, sugar and confectioners sugar in a bowl attached to your table mixer with the paddle attachment. Add the vanilla and almond extract. Combine until mixed. Add one egg white at a time and COMPLETELY mix in each egg to the flour/extract. The dough will start to form. With two small bowls, fill each one with the two different sugars. This combination of the two sugars creates that wonderful exterior of the cookie that makes it so unique. The dough is thick. I was able to use a cookie scoop and scoop the dough and drop each one into the white sugar. 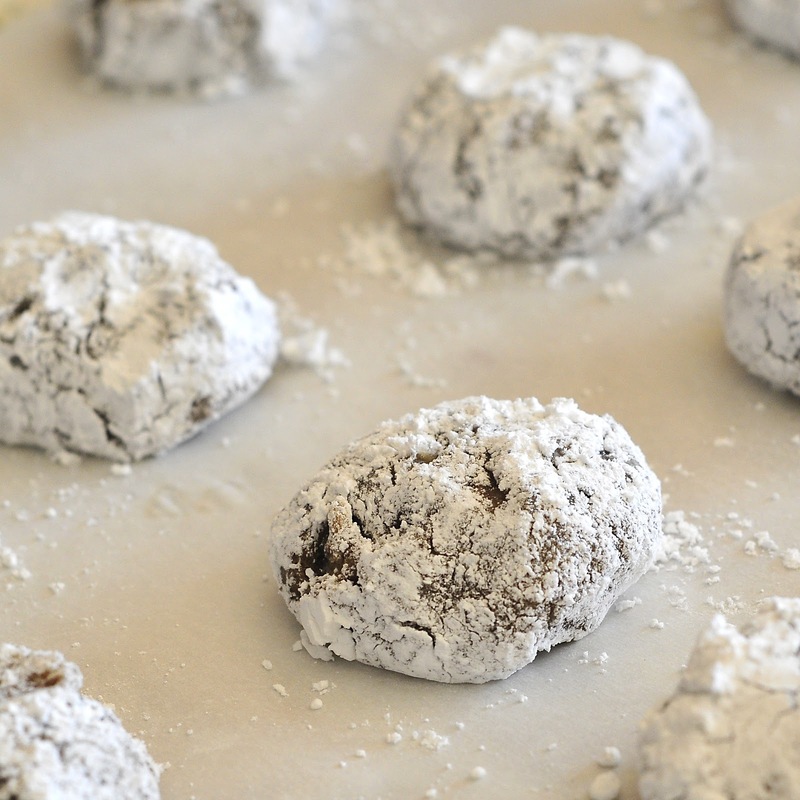 Using your hands roll the ball first in the white sugar and then in the confectioner's sugar. See image below. They will gently spread a bit and then spread more when baked. Bake for 24-28 minutes for a soft, chewy cookie and a bit longer for the crispier version. The recipe will make 3-4 dozen, depending on size of cookie scoop. I used a tablespoon scoop so I got the smaller number. I love this one. 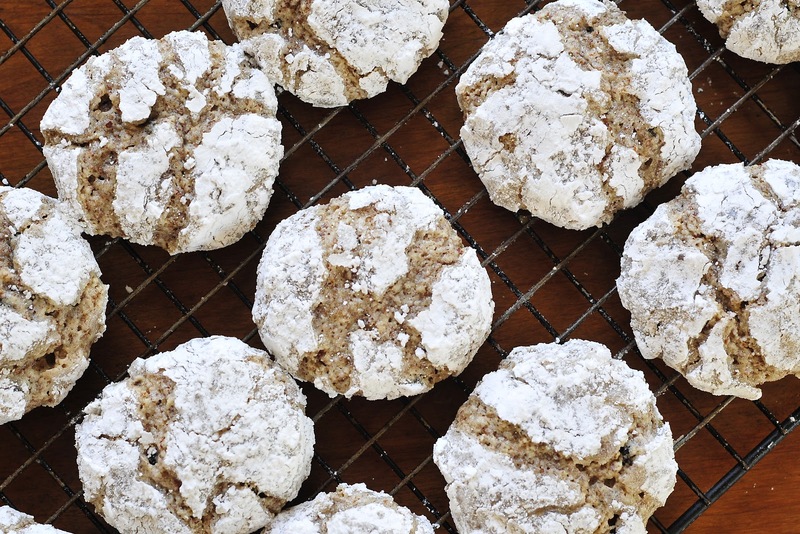 They look great and amaretti are a staple at our house!